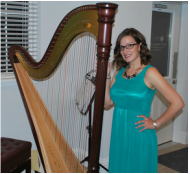 As a professional harpist, I take pride in my work; and my number one priority are my clients. I want to make sure that the music, or what I call, the soundtrack to your event, is PERFECT! These reviews and comments are verified through WeddingWire, also from Facebook, Google, Instagram, and my other social media pages. 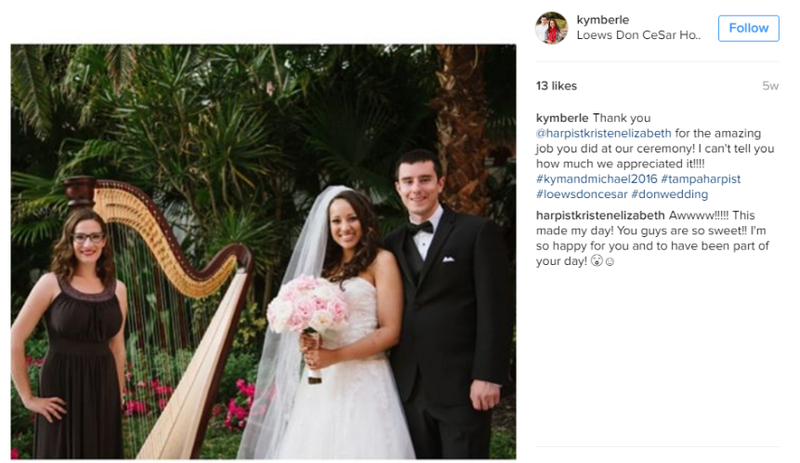 Proud to be the only harpist in Tampa Bay, St. Petersburg, and Sarasota area to win 2015, 2016, 2017, and 2018 WeddingWire Couple's Choice Award! Contact me today for a quote! "I had planned an Open House event for our new surgical practice Florida Surgical Specialists in Bradenton, Fl. So I naturally turned to the web to find the entertainment. I found Kristen's website and the rest is history. From the moment I started to communicate with Kristen, the process was flawless, and her professionalism is outstanding. 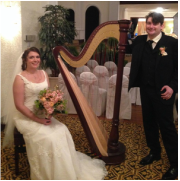 "Kristen's music was the perfect addition to our wedding reception!"